Joint Pain Causes: What You Really Need To Know! Causes of Joint Pain: What You Really Need To Know! What Causes Joint Pain – Do You Really Know? Joint pain is a very common ailment. Joints are the point of union of different bones, so they are subjected to high levels of stress during movement. A number of diseases and injuries may cause painful swelling and stiffness of the joints. The areas where people commonly experience joint pain are the knees, hips, and shoulders. Joint pain can range from mild to severe and debilitating. Even mild joint pain can cause emotional stress in a person’s life. Short-term inflammation can cause severe pain and restrict movement. While joint pain may have various causes, it can often be managed with a combination of pain medication, physical therapy, and other complementary therapies. Osteoporosis is a condition in which there is a loss of bone density. It affects many people and occurs more commonly in women than in men. The condition is characterized by gradual loss of bone tissue, leaving bones brittle and susceptible to fractures. Osteoporosis can lead to curvature of the spine, causing loss of height and a changed posture. It can also cause severe pain. Our joints are primarily involved in carrying our weight. So if our weight increases, the pressure on our joints also increases. In fact, with every pound of added weight there is a three-fold increase in force on the joints. So, individuals who are overweight often experience joint pain while walking or running. By losing the weight, the joint pain will reduce or completely disappear. However, care must be taken not to engage in a strenuous exercise routines which may further damage the joints. Instead, doctors recommend that people start slow and set a goal of losing weight gradually over a period of time. Influenza can be differentiated from common cold because the symptoms of flu last longer, and people also experience muscles aches and joint pain. Analgesics can alleviate these joint pains. Synovitis results from a distended joint capsule. It is an infection of the synovial membranes that surround the joints. 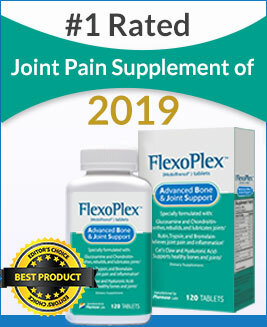 The membranes become inflamed and produce an excessive amount of fluid that is normally produced for joint lubrication. The condition can cause extreme pain, especially when the joint is moved. A surprisingly large number of people suffer every year from sports injuries. While contact sports such as football can cause serious injuries, the most common causes of sports injuries are actually poor training methods. When muscles are not given the time to heal and recuperate after strenuous activity it will cause sprains and joint injuries. So, people who experience joint pain while playing sports often engage in overtraining. In addition, other factors such as flat foot and cavus foot can make a person susceptible to injuries. Internal derangements are a common cause of temporomandibular joint dysfunction. The condition is characterized by a displacement of the articular disc of the temporomandibular joint. The disc is located between the ball and socket of the joint. So, if it slips there is a loss of proper function of the joint. Use of the joint will cause further damage to the disc, and internal derangement will have a tendency to worsen over time. The condition is often caused by a trauma to the face or repeated jaw movements. Post-viral fatigue syndrome (PVFS) is characterized by joint and muscle pain, as well as chronic, mental, and physical exhaustion. Many people experience other symptoms such as depression, cognitive problems, and digestive problems. Sufferers may have poor concentration, sleeping and breathing difficulty, as well as heart problems. The pain can be effectively managed with pain medication, while long-term treatments may include counseling, proper diet plans, and antidepressants. People suffering from PVFS can benefit from truly understanding their condition and learn ways to manage their symptoms. Repeated overuse of muscles causes tiny injuries to occur that accumulate over time. Overuse injuries are commonly experienced by people who run for long distances. People who run on the road are more prone to such injuries. The surface of the road is uneven as well as hard and running motion is repetitive. The road surface may also have an incline to it. This puts pressure on the foot and leg muscles that can lead to injuries. It is important to wear proper running shoes that provide adequate support to the feet. The symptoms of ligament sprains may vary depending on its severity. Usually, there is pain and swelling around the joint. Serious sprains may also cause bruising of the tissue. It will be difficult to move the joint without causing pain. Often a sign that the ligament has been sprained is feeling a “pop” in your joint. While minor sprains subside by resting the affected joint, you should see a doctor if the pain is severe and you are unable to move the joint. Kimura Y, et al. Evaluation of the child with joint pain or swelling. http://www.uptodate.com/home. Accessed Jan. 18, 2013. Goldman L, et al. Cecil Medicine. 24th ed. Philadelphia, Pa.: Saunders Elsevier; 2012. http://www.mdconsult.com/das/book/body/191371208-2/0/1492/0.html#. Accessed Jan. 18, 2013.